Teenager Sancho became Dortmund's youngest goalscorer in the derby when he hit the decisive goal in Saturday's 2-1 win. It has been a breakthrough year for 18-year-old Sancho, who has thrived in Dortmund's strong start to the season and received his first England cap in 2018. But he revealed Dortmund's latest win had a bittersweet taste as it rounded off a difficult week for him personally. "Great feeling to get the winning goal in the big derby," Sancho wrote on Twitter. "Massive effort from all the boys and staff. "Been a tough week personally, dedicating my goal to my Nana! I love you forever and ever! "I know you’ll be smiling down on me! See you soon my angel." 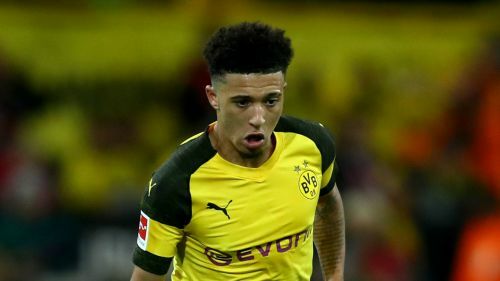 Sancho has contributed five goals and six assists with Lucien Favre's men sitting nine points clear of defending champions Bayern Munich at the top of the table.